We have been members of the DVHCC since 1989, with Wally being Club Secretary for two years. Below is a short note and photo on each of our vintage car stable (Yes they do tend to multiply). 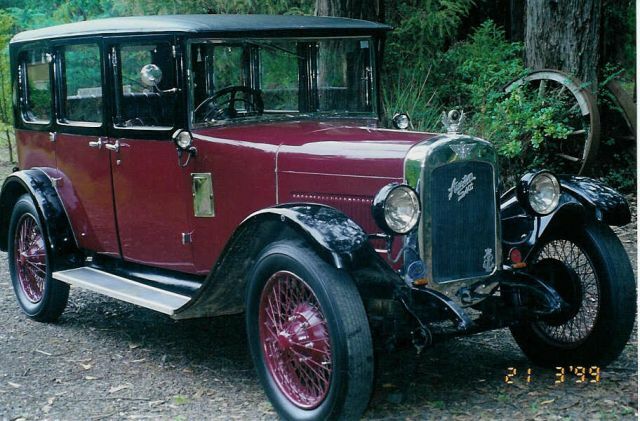 Our interest in vintage cars started in 1977 when Wally extracted his fathers 1929 Pontiac from the bush in Pakenham Upper, and restored the car over the next three years. The Pontiac body is by Holden and has done many reliable rallies over the years. 1928 Austin Sixteen Burnham Saloon. While on a rally in Cessnock, NSW, in 1984 we purchased a 1928 Austin 16 Burnham Saloon half restored and completed its restoration in time to attend the 1989 world rally in Hobart. The Austin 16 has a 2.3 litre six cylinder engine, four speed gearbox and aluminium body made at the Austin works, Birmingham, UK. It is a great Melbourne winter rally car. The Austin 20 Sports has a four cylinder 3.8 litre engine, four speed gate change gearbox, 10’-9” long wheel base and was obtained as a 6×4 trailer load of parts from Kevin Williams at Pakenham. We have completely built a new body, bonnet and guards. The body design is based on one car built by Austin in 1920 to be raced at Brooklands and hill climbs. The sports completed it’s first rally at Easter 2005 by travelling to attend the Austin’s Over Australia rally at Warwick, Queensland. A total of over 3500km round trip after the car had only done 6km of testing prior to leaving on the rally. 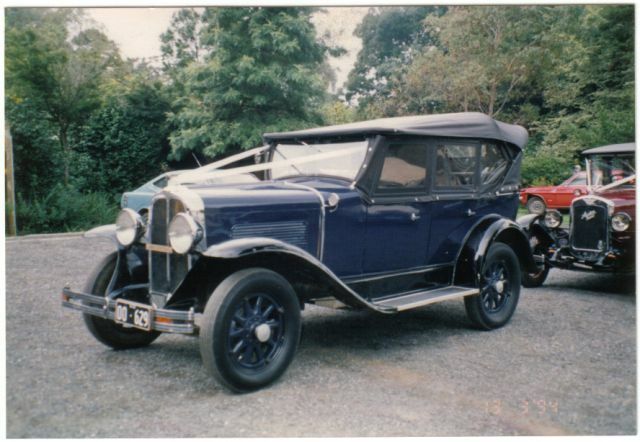 The Austin Twenty Limousine has a six cylinder 3.5 litre engine and is a very rare car as only ten were made in 1927. This car is number six, it is the only known survivor for the 10 produced in 1927. 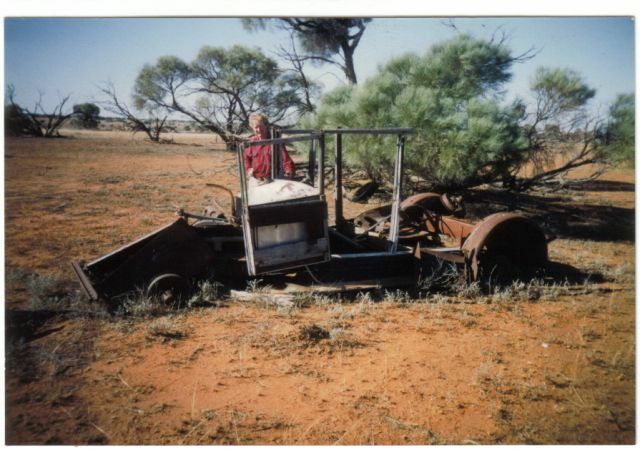 The car when rescued from a farm near Ivanhoe, NSW, in March 1993 was missing many body parts and fittings. We have collected most of the missing parts and now have started on rebuilding the body woodwork and guards. As you can see from the photo below the car is in a poor state, we found the four wheels, two mounted each side of the farm gate and two in the farm tip. Standing beside the car is Joe Brown who’s father left the car on the farm in the early 1950’s, due to no teeth being left on the crown wheel and pinion. The Austin Seven Moth was purchased in 2003 from the Newcastle area NSW, with the woodwork redone 25 years ago and all the steel panel work lost except for the guards. The body steel work has been all remade, except the bonnet which still needs louvers punched, guards have all been repaired and undercoated. The chassis and mechanicals need a complete rebuild over the next year or two. The Moth was bodied in Chatswood, Sydney, on a fairly standard Austin seven chassis. But looks as though the car is lower, due to the body panels extending seven inches below the chassis. Denise wishes to learn to drive the seven as it will be a lot lighter to steer and handle. It only has a left hand side door and we are still looking for a windscreen frame for the car.